Media and Contents: 48 plastic parts, decals. The Birmingham Small Arms company already had a long history as a manufacturer of firearms before it became the largest producer of British motorcycles in the Second World War. The 500cc, 12 horsepower civilian BSA M20 design was adapted to military use, and a staggering 126,000 units were produced during the war. These saw service on all fronts in a wide range of roles, continuing to serve well into the 1950s. 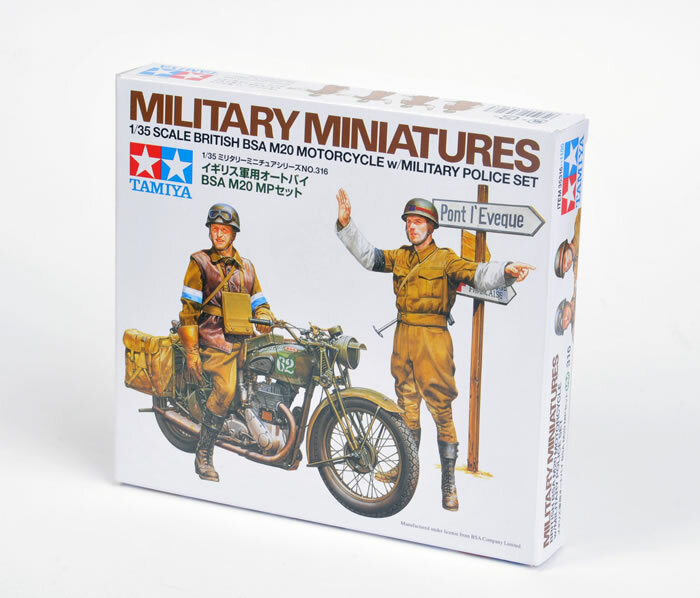 Tamiya continues its contribution to British WWII equipment and personnel with its brand new 1:35 scale BSA M20 Motorcycle with Military Police Set. 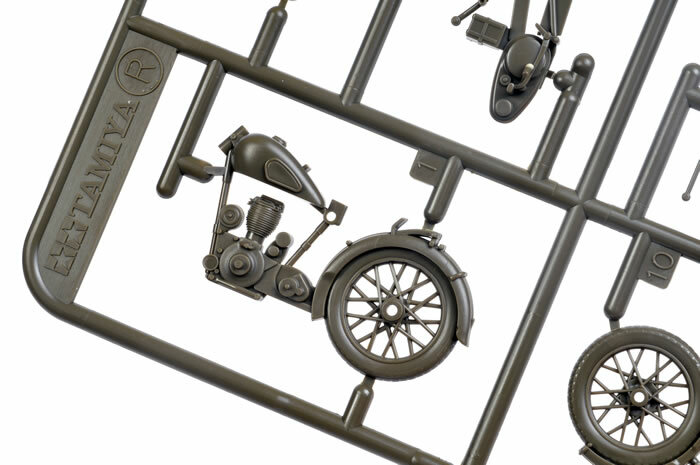 Tamiya’s BSA M20 set comprises 48 olive-coloured parts on two sprues. Moulding quality is all tat we have come to expect from Tamiya – crisp and free from flash and imperfections. 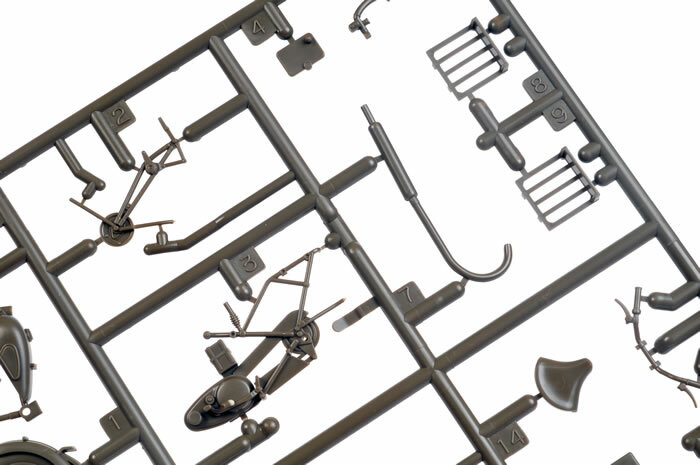 The bike itself is made up from just 20 parts on one sprue. It looks very nicely detailed but should be fast and easy to build. The engine is moulded integrally with each half of the bike, The wheels and mudguards are moulded together. Spokes are represented by moulded plastic, but they are quite thin. For those who would like finer depiction of these parts, “Inside the Armour” has already released a detail set that includes photo-etched spokes. 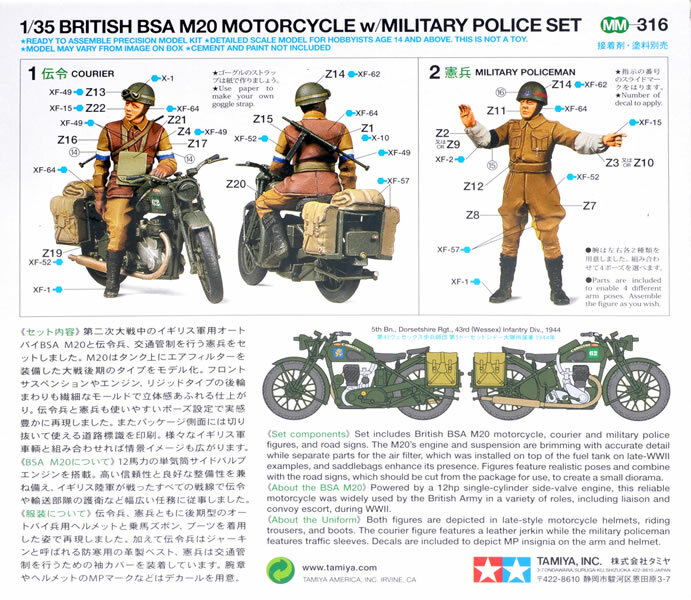 The second sprue contains two figures – one seated on the motorcycle and one British MP directing traffic. 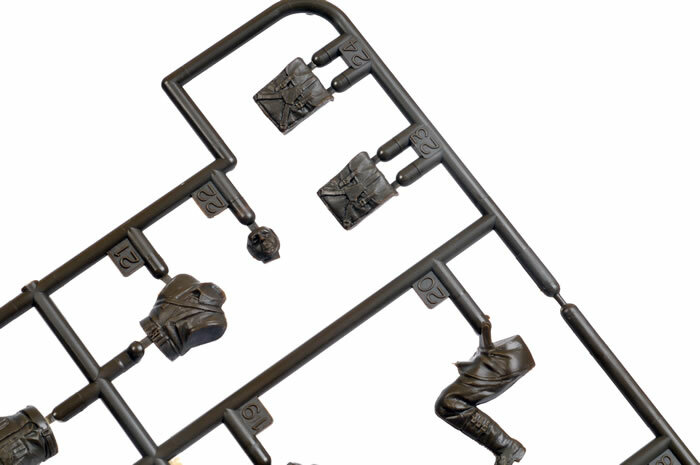 This sprue also includes four packs for the bike and a post for a road sign. Two Sten guns and solid plastic goggles round out the plastic parts. 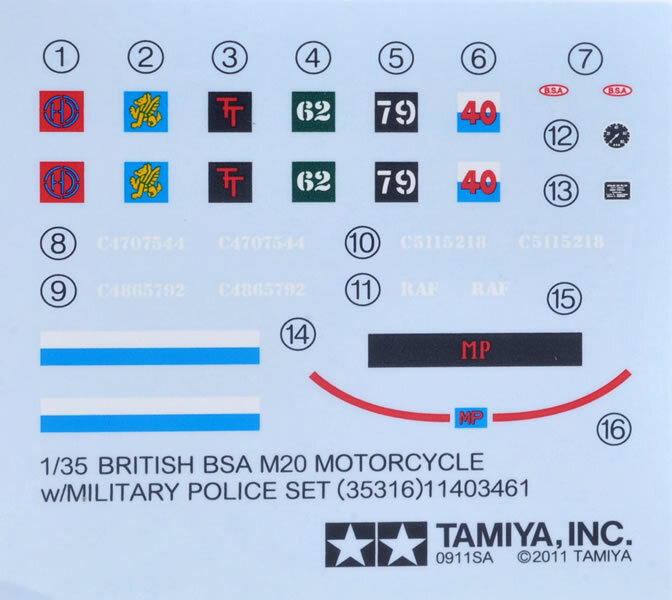 A small decal sheet provides markings for four bikes, with different serial numbers, Divisional markings and Unit signs. Decals are also offered for the speedometer, the rider’s blue and white armbands and the MP’s helmet markings. Instructions are provided on a long single folded sheet. 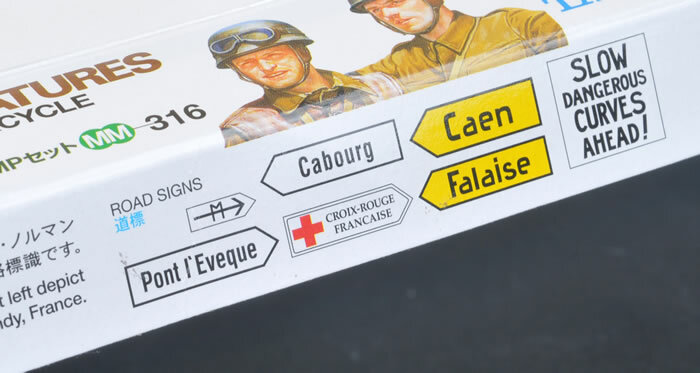 The back of the box serves as a useful colour painting guide. The end flap of the box is printed with coloured road signs that may be cut out and glued to the plastic sign post. This neat little set will work well with a larger diorama or as a standalone scene.